Add more resistors in parallel will decrease the resistance R in combination. 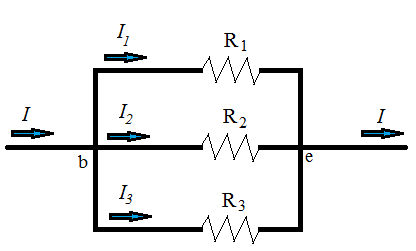 The potential drop V across each resistor in a parallel combination is the same. The total current is equal to the sum of all parallel branch currents. Add more resistors in series will increase the resistance R in combination. The total potential drop V across the combination is equal to the sum of each resistance potential drops. The current through each resistance is the same.